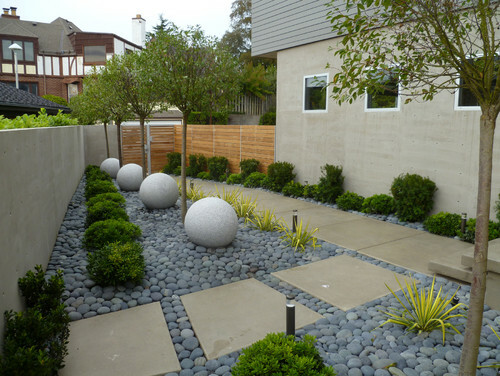 Bricks, concrete blocks, pebbles, rocks and stones are material for contemporary landscapes and gardens. 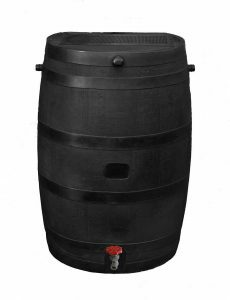 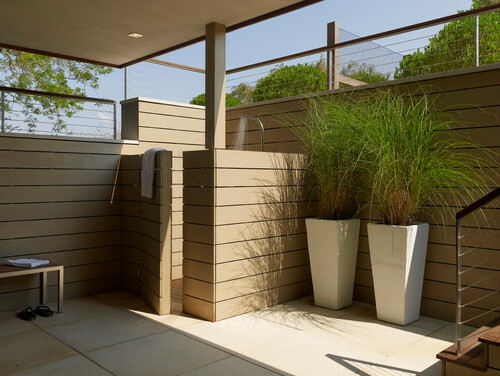 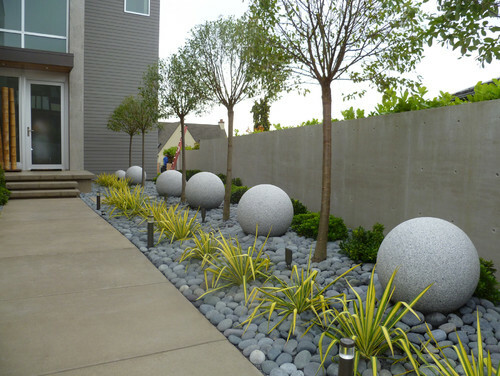 These contemporary materials are used to design gardens and landscapes that are low on maintenance yet high in water efficiency. 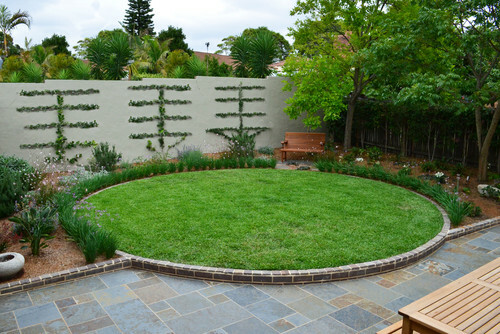 The whole idea is to cover the ground with ‘hardscape’ elements to reduce evaporation and retain moisture. 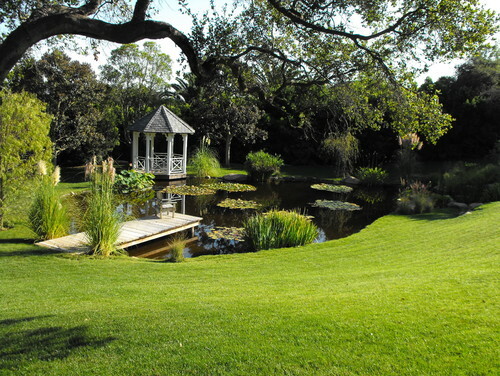 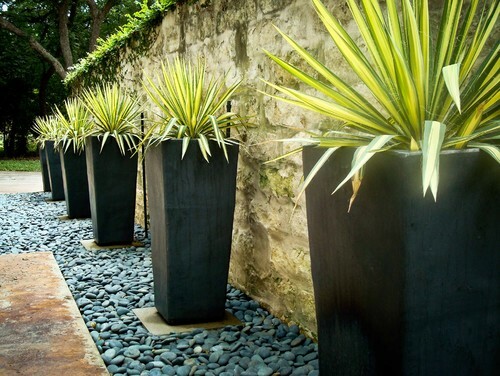 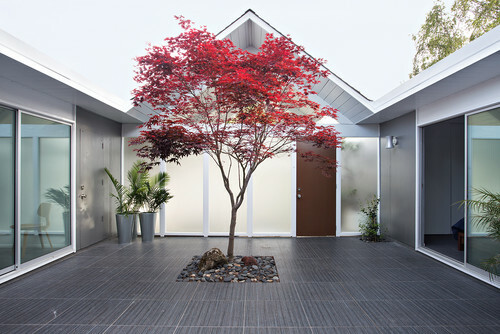 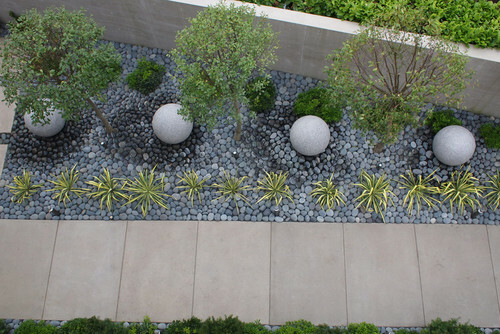 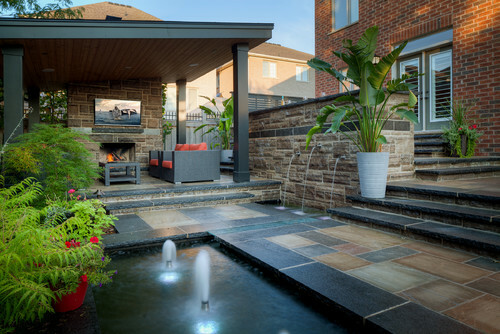 The hardscape is filled with drought-resistant or water-efficient plants. 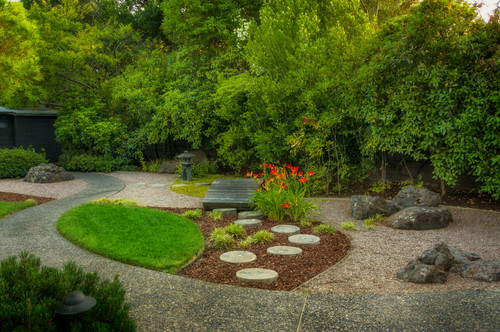 Hardscape elements also minimize the need to control weeds and use pesticides by naturally controlling weeds and preventing pests. 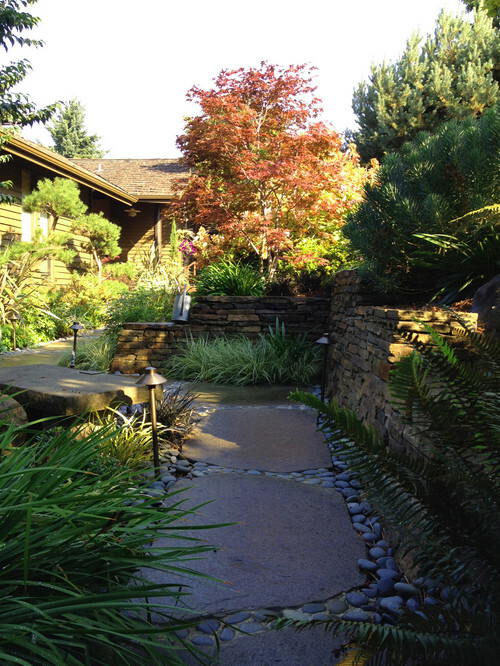 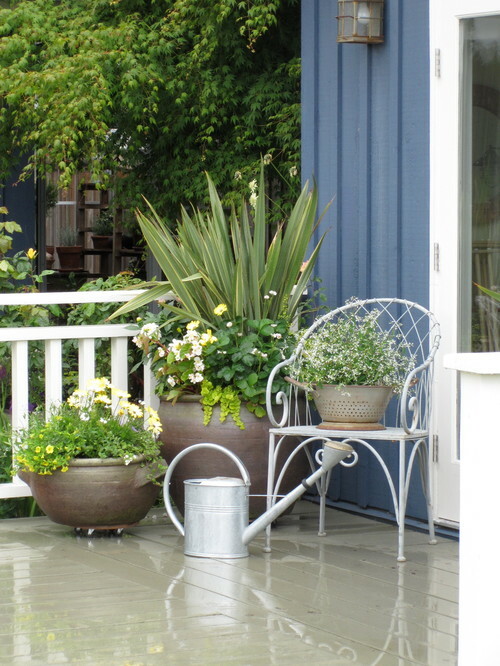 See more information and resources on water-efficient garden designs and a list of water-efficient plants. 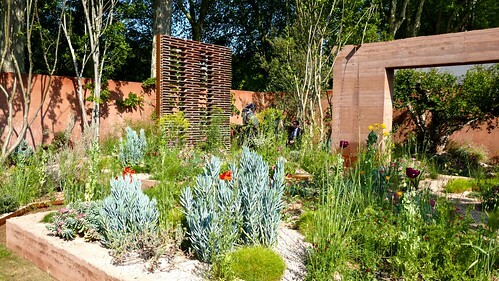 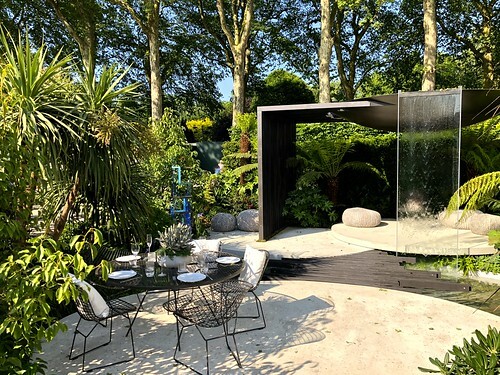 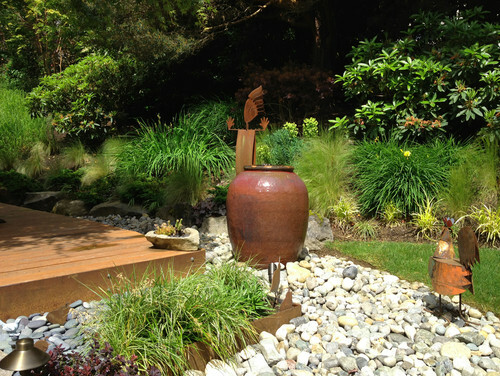 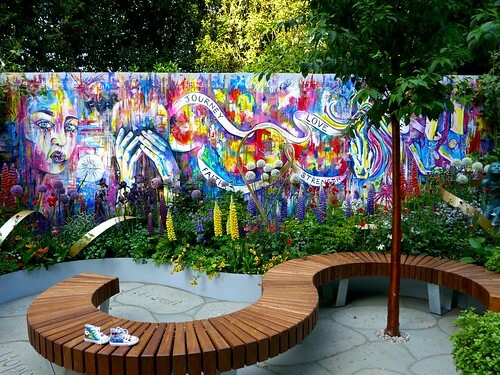 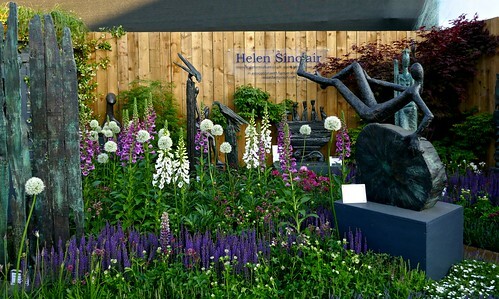 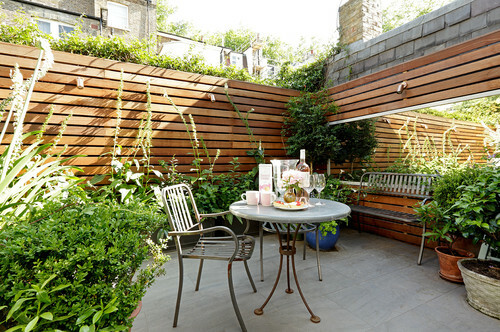 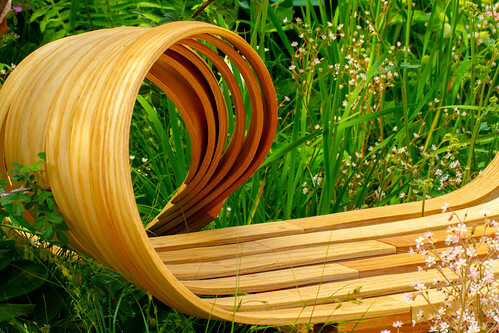 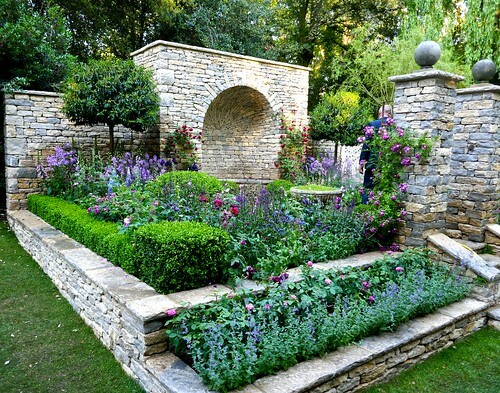 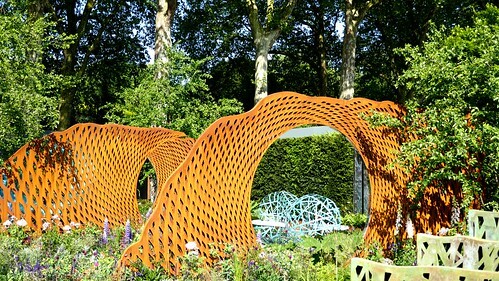 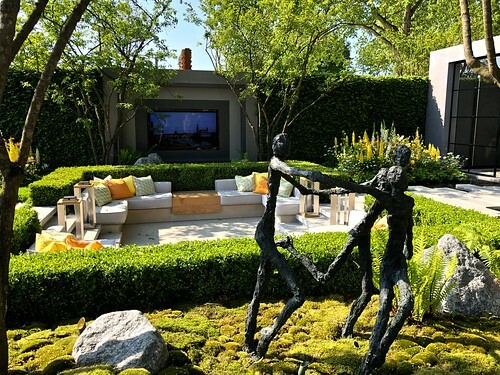 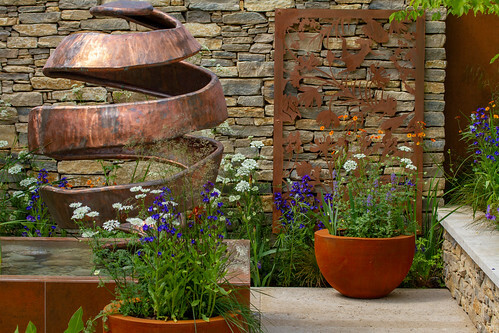 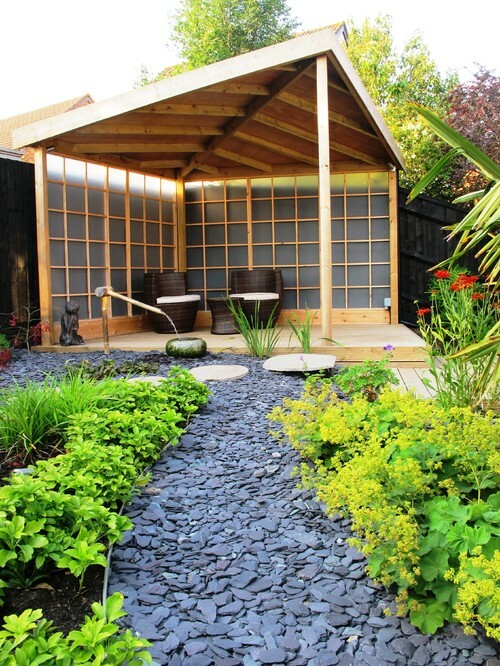 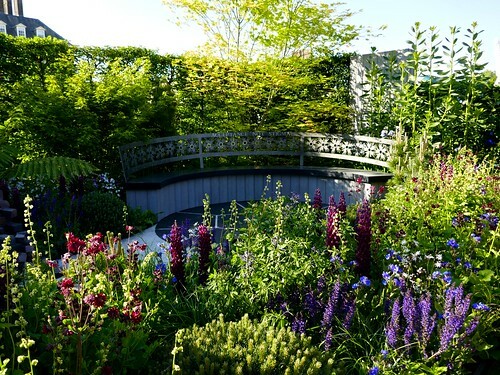 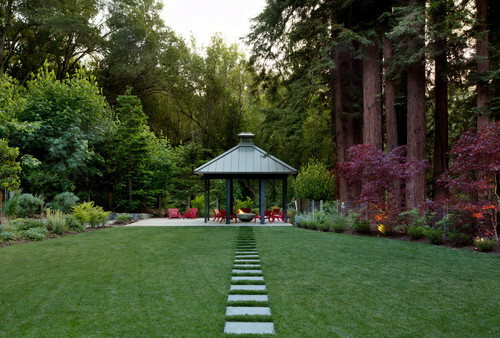 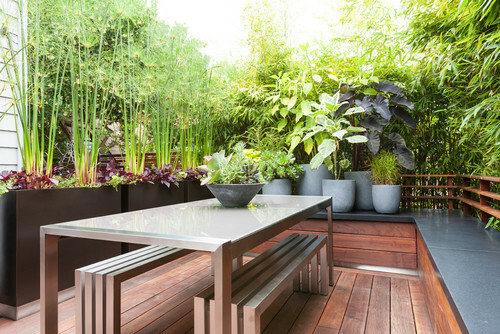 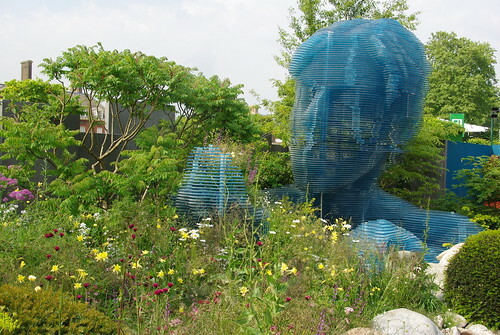 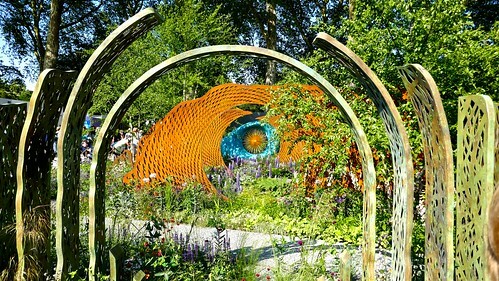 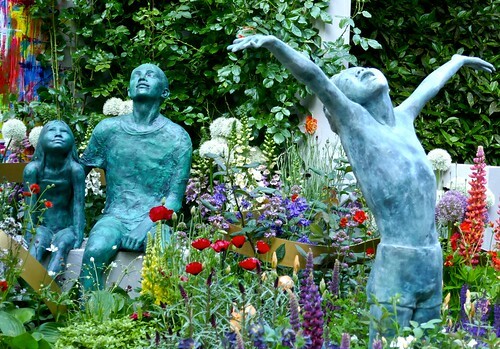 Also browse these beautiful examples of contemporary garden design by Folia Horticulture + Design. 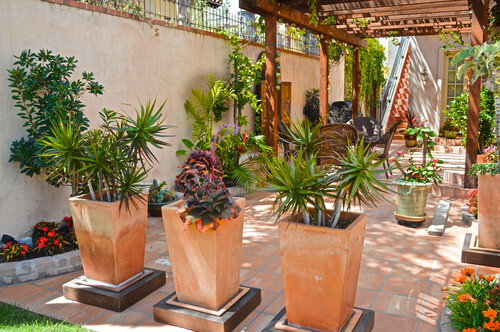 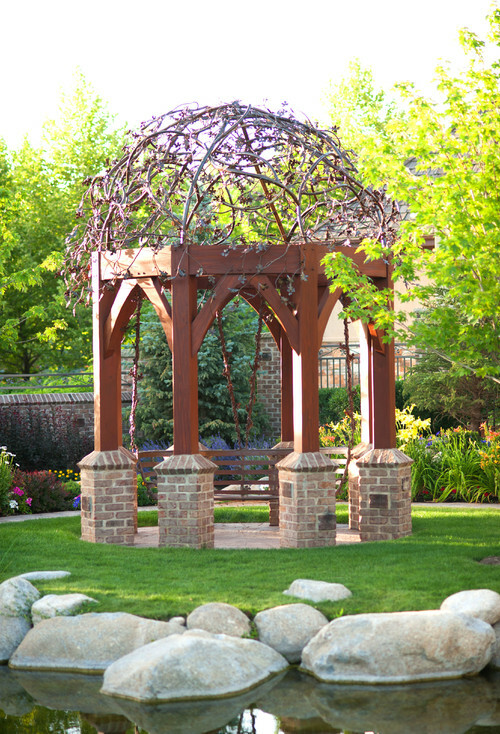 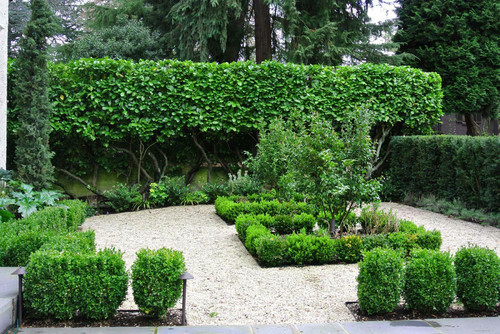 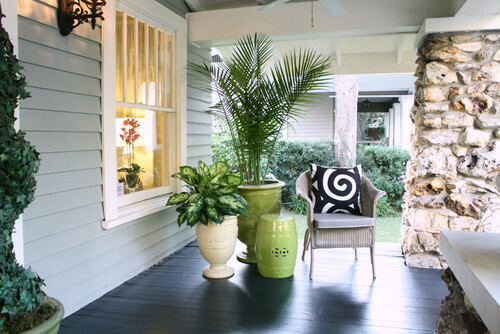 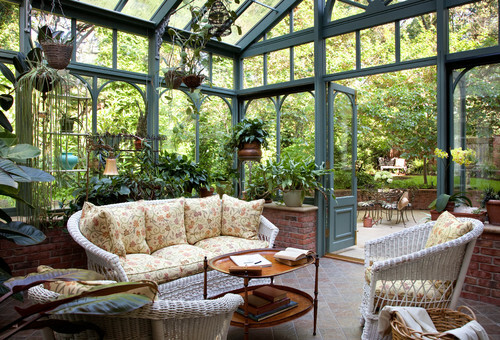 Specimen plants are usually grown in gardens and landscapes to create focal points. 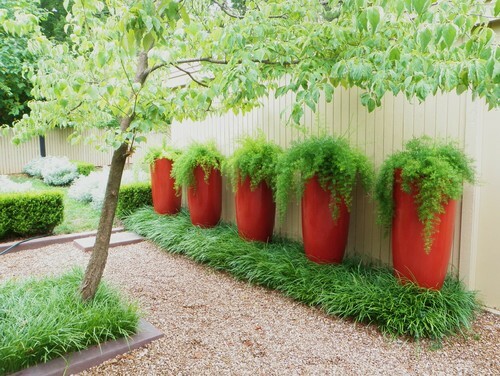 These plants are often characterized by unusual form, bold colors, attractive flowers, or lovely foliage. 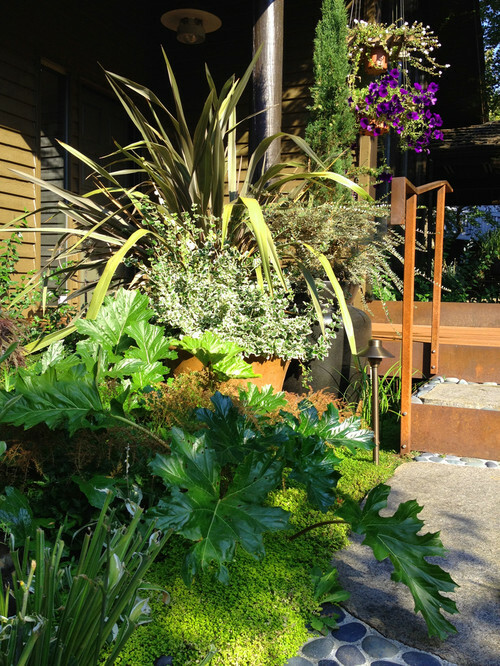 Best specimen plants have year-round foliage, compact growth and low maintenance needs. 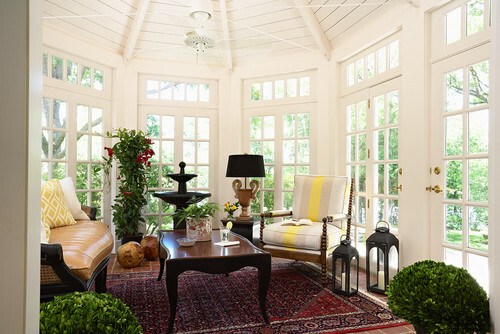 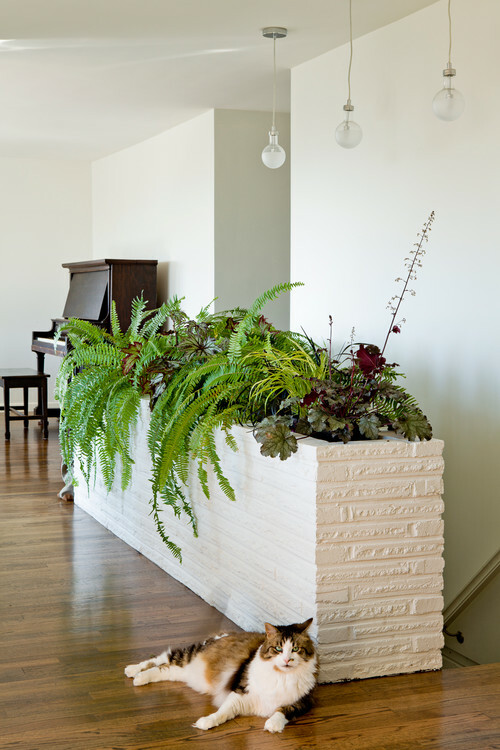 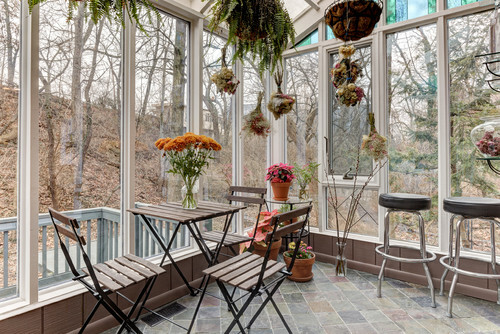 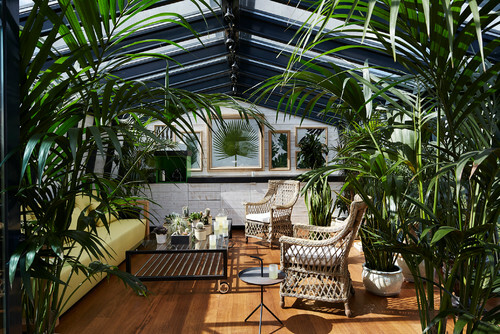 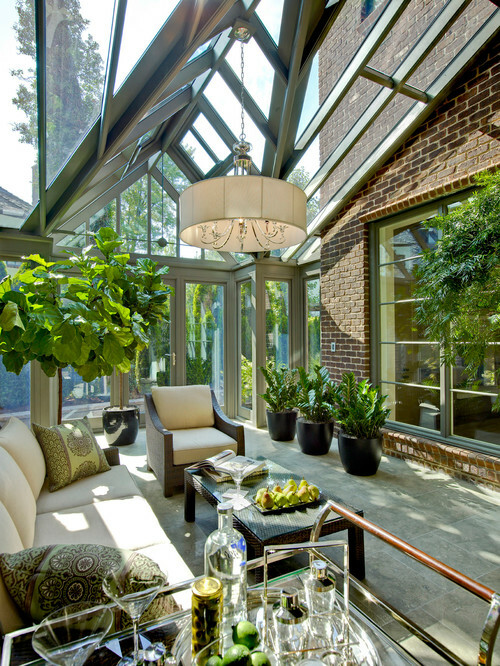 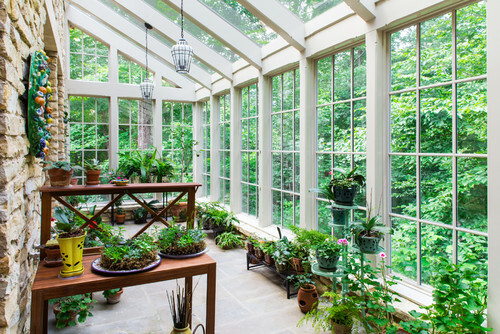 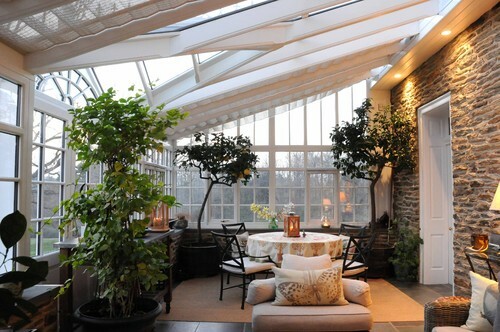 When grown indoor, small specimen plants can be used to brighten up small spaces by creating focal points or create dramatic effects by placing these plants at strategic spots. 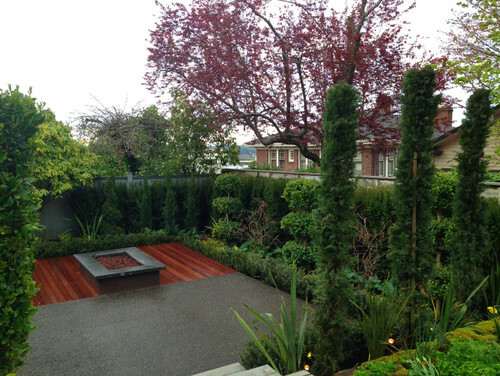 When grown outdoors, large specimen plants can be used to fill spaces or create permanent displays. 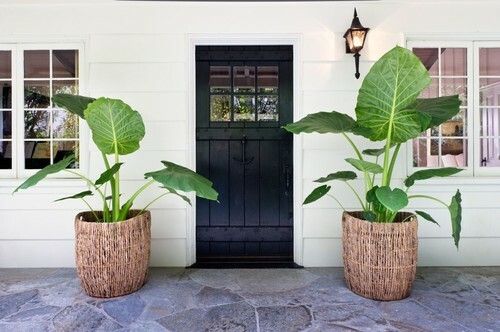 Colocasia esculenta – A nice specimen plant grown for its large, attractive foliage. 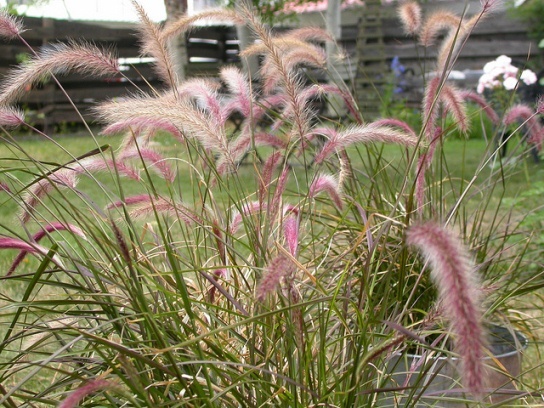 Pennisetum setaceum – Commonly known as ‘purple fountain grass’ is a beautiful specimen plant for growing outdoors. 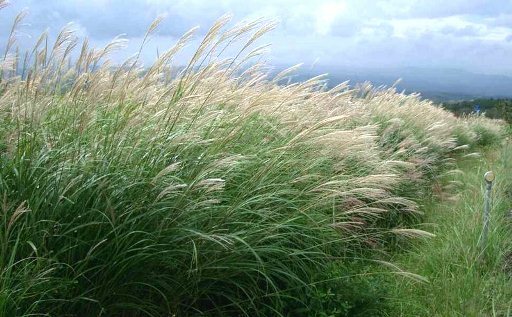 Miscanthus sinensis is a bold, upright and attractive grass. 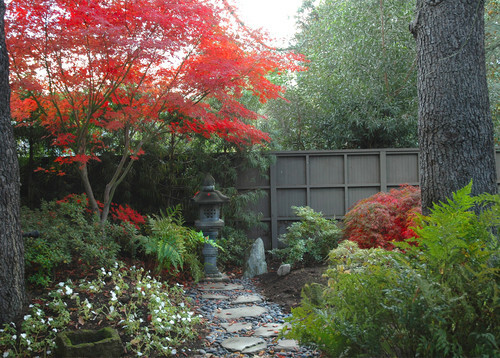 Acer palmatum or ‘Japanese Maple’ is a small tree with interesting and colorful foliage. 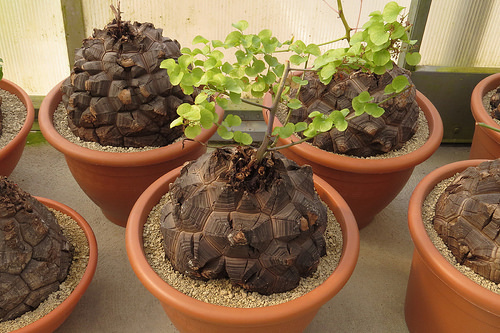 Dioscorea elephantipes is a beautiful specimen plan known for its unusual form. 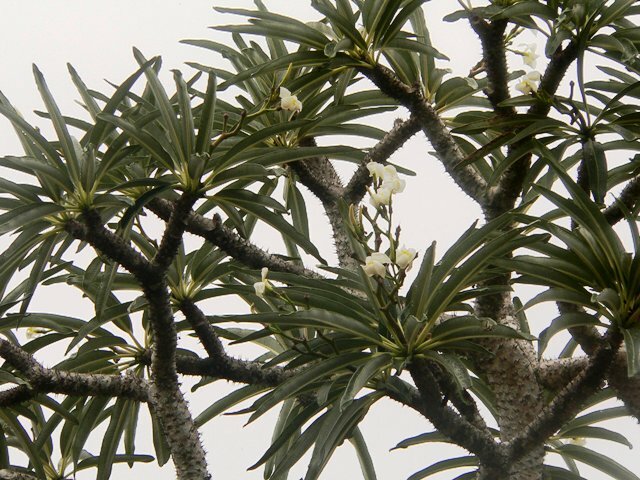 Pachypodium lamerei or the ‘Madagascar Palm’ is another beautiful specimen plant for growing outdoors. 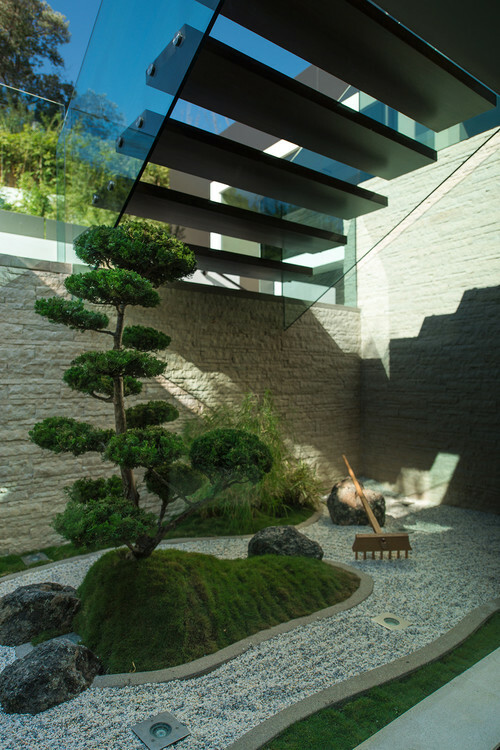 Traditional Japanese gardens are known for their unique style that combines trees, flowers, water, rocks, bridges and architectural elements in a miniature landscape. 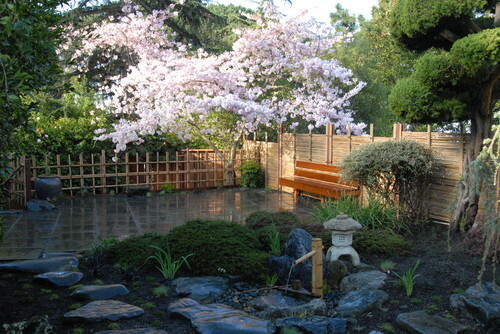 Inspired from traditional Chinese gardens, Japanese gardens have their own character formed by amalgamation of cultural elements and horticultural techniques. 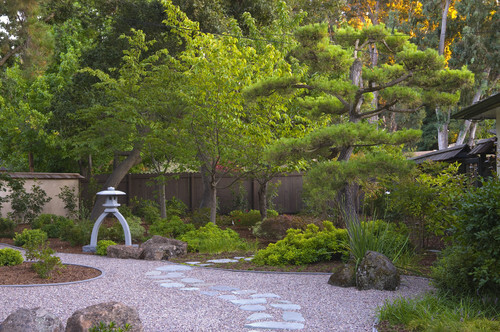 Water basins, water cascades, rocks and sand, traditional lanterns, and typical cherry, ginkgo, maple, pine, and bamboo trees are basic elements of a traditional Japanese garden. 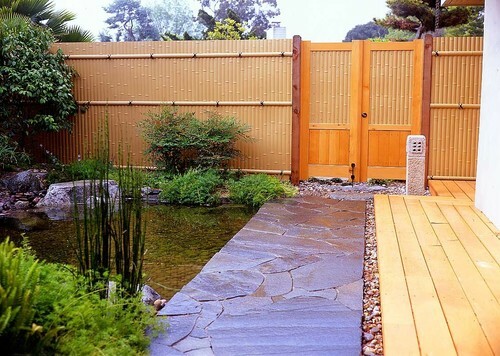 You can also spot small islands, private pavilions, miniature towers and Japanese pagodas, bamboo screens, and traditional gates in a Japanese gardens. 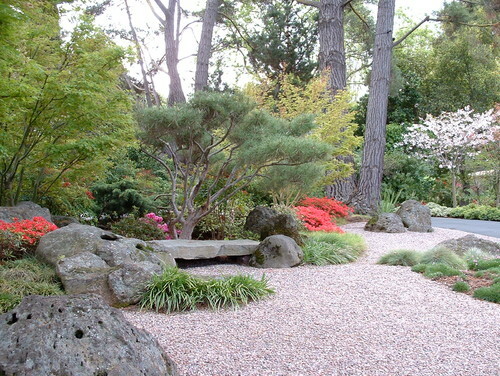 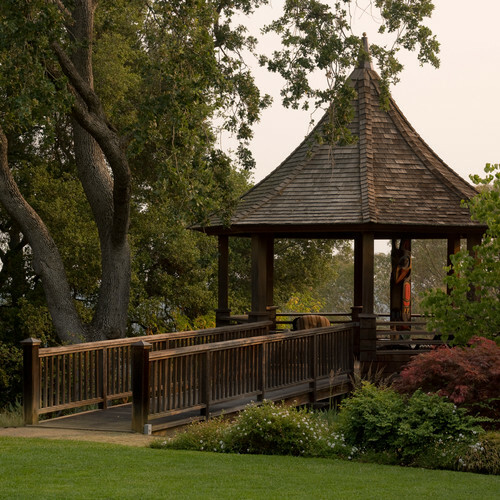 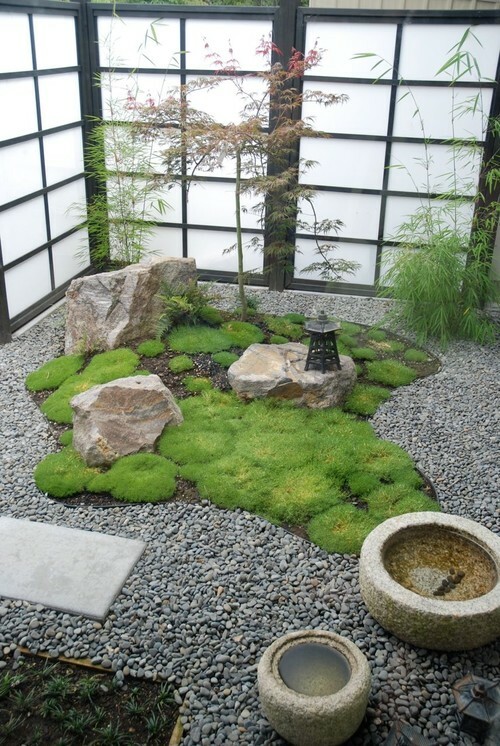 A typical Japanese garden grows moss, evergreen trees, and horticultural structures like bonsai and topiary. 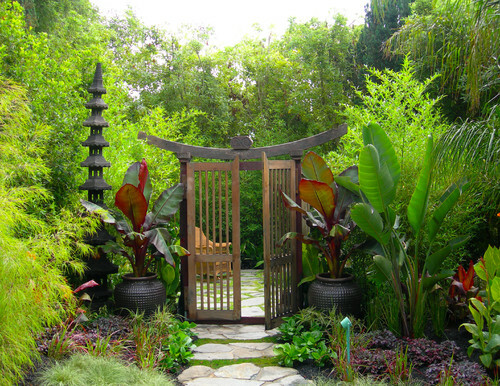 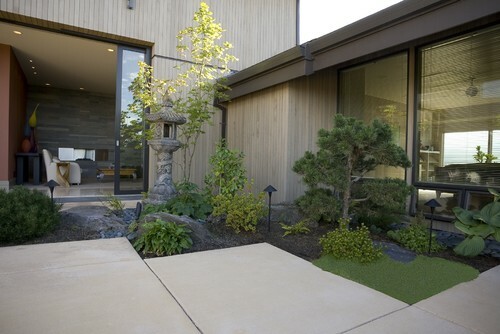 Designing a Japanese garden requires a careful selection of all of these design elements combined in a miniature landscape that uses a lot of vertical and horizontal blank space. 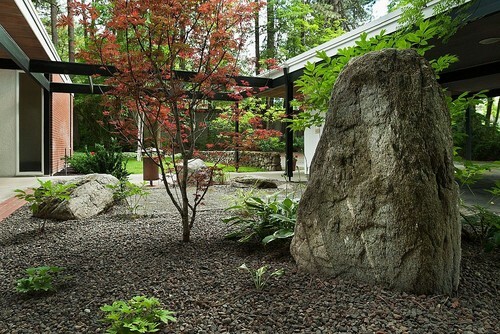 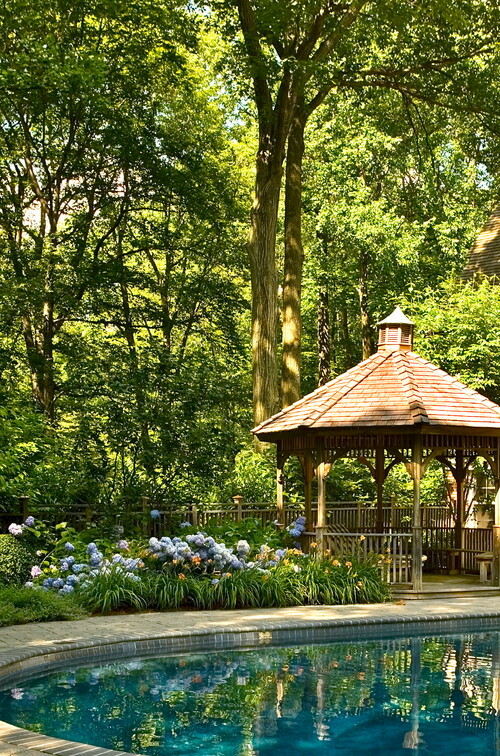 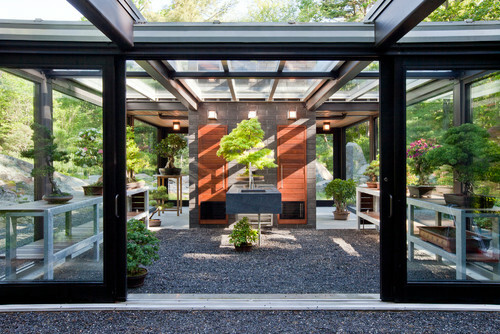 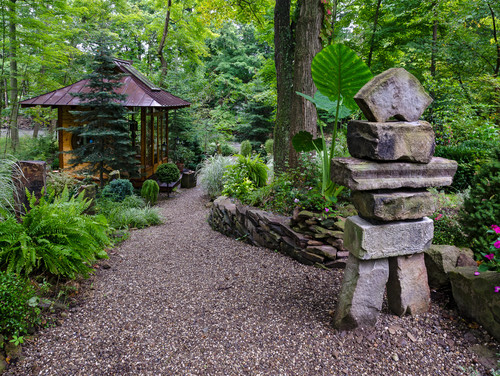 Browse the following examples of traditional and modern Japanese gardens. 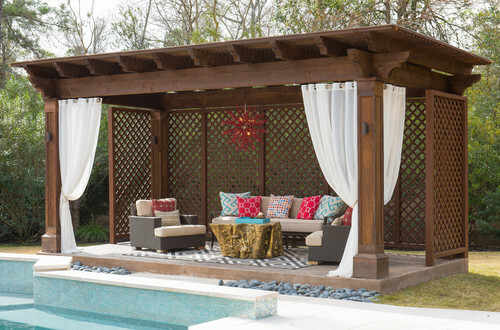 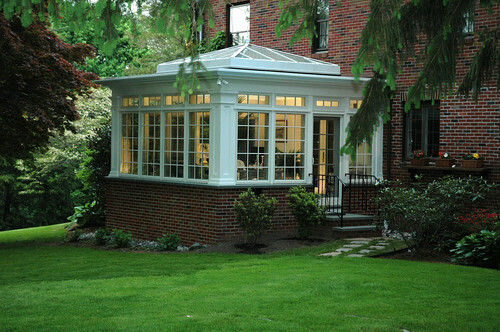 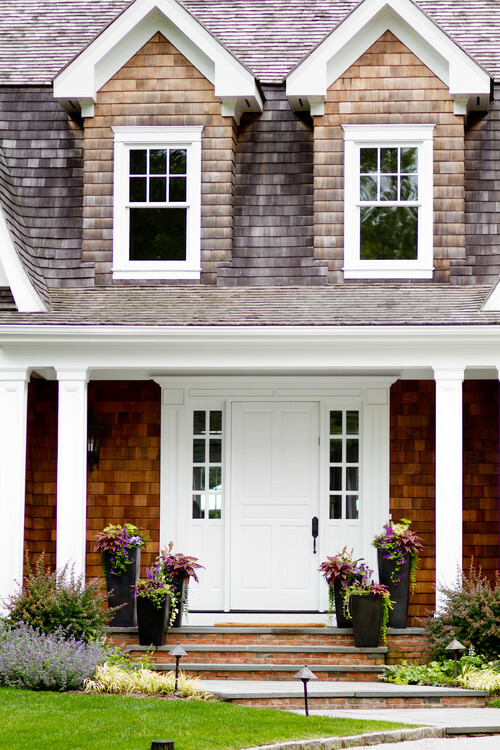 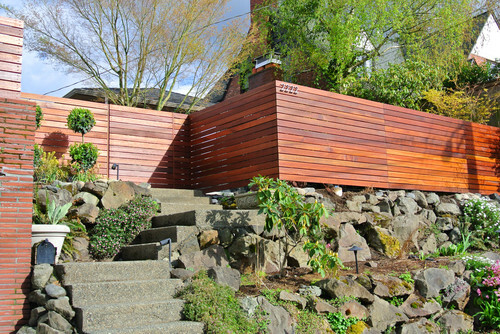 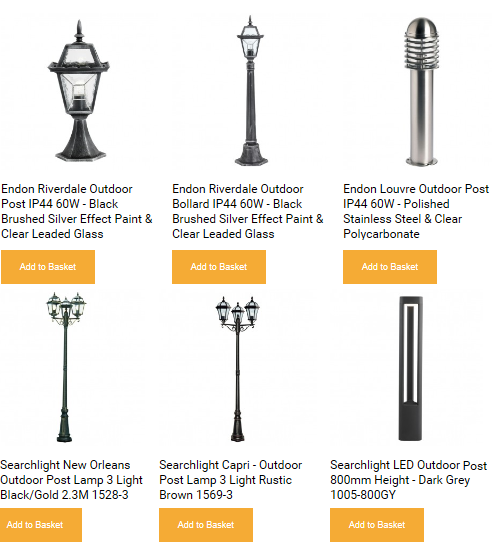 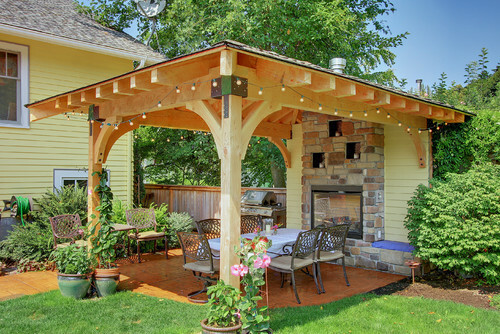 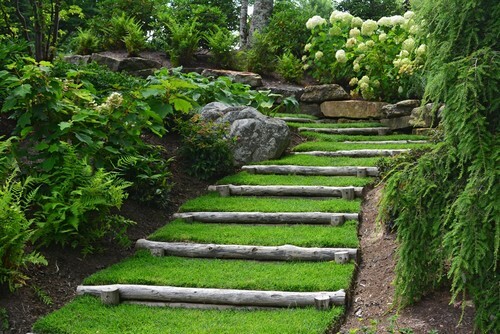 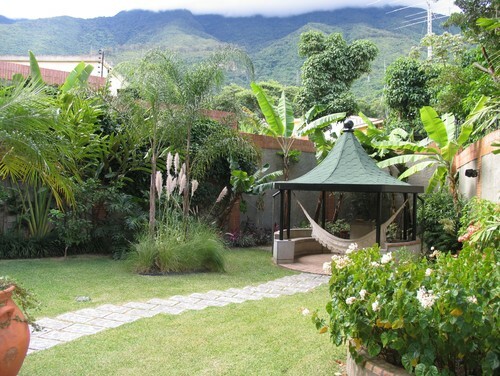 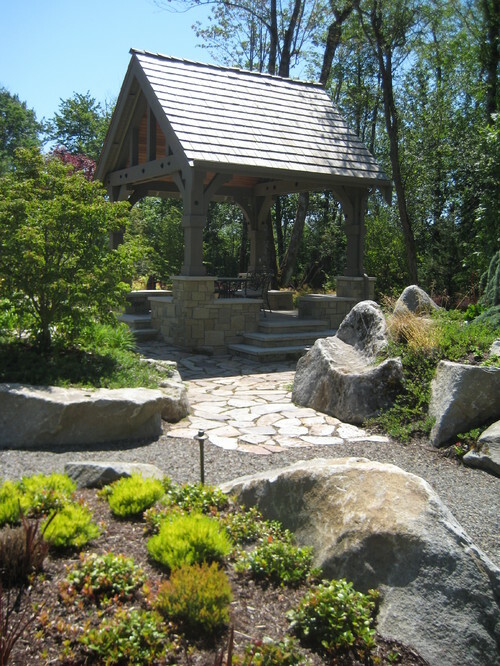 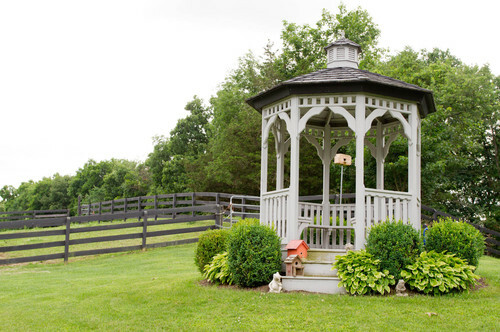 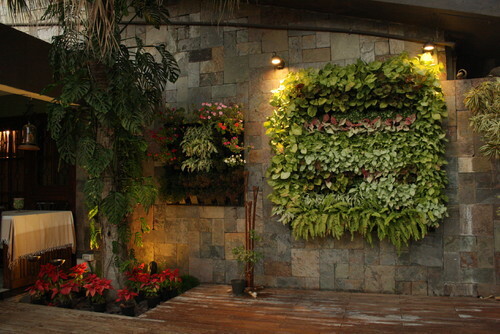 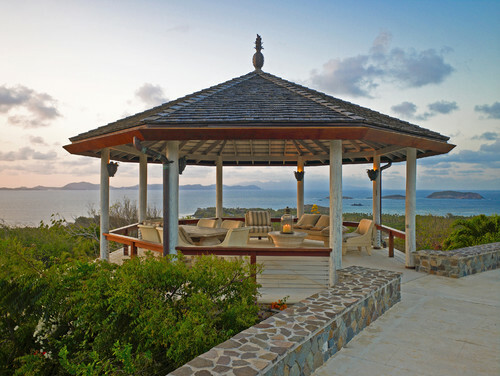 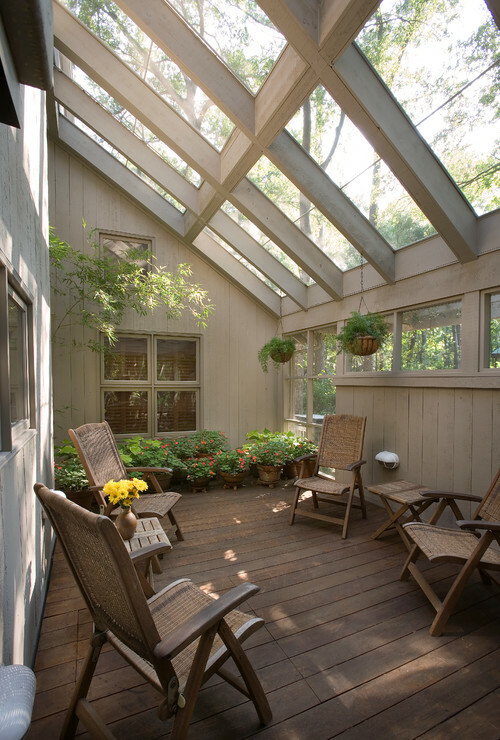 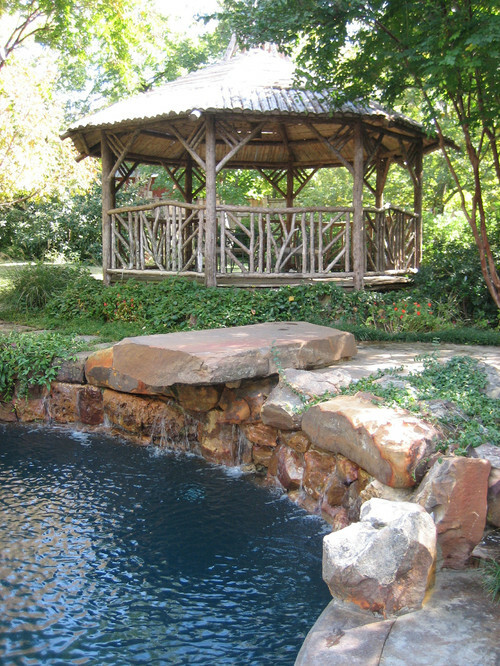 I am sure you will find many useful ideas for your next landscape project.